Measurements: The stones measure 11mm X 4mm high. Characteristics: The back is flat and the front is domed. They have a gently faceted border at the base. 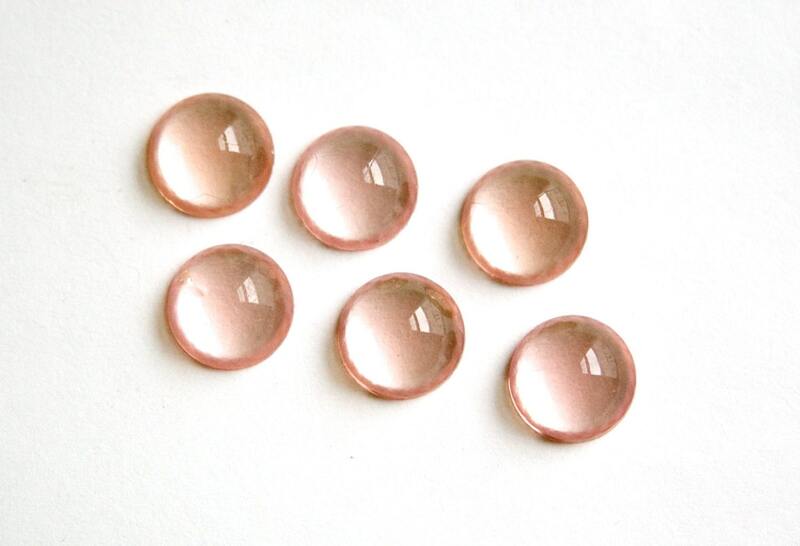 Color: Rosaline, a peachy pink color. Additional Information: These do not have foil.